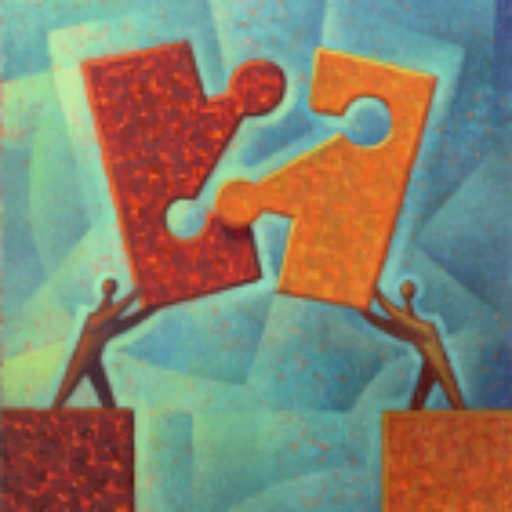 In my experience and because of the difficulties that I had in my undergraduate and graduate schools, I sought to find the reasons why I had difficulties interacting with supervisors, peers and clinical placements. In my pursuit, I was led to begin attending support group meetings. My journey with these support group meetings started some 25 years ago. As part of my journey I have had the opportunity to grow in my awareness. Although I was still in denial concerning my traumatic brain injury, I discovered that there were factors that contributed to the difficulties that I had been experiencing. Among these awareness’s, I have come to realize that I can not “fix” people. I can not make people “OK” with themselves, no more than they can make me “OK”. With my awareness, I discovered that I was the only one who could make me OK with myself. I discovered that I no longer needed to make people OK with me to be OK with myself. With my awareness, I discovered that I need to keep my side of the street clean, while allowing and giving other people the dignity to keep there side of the street clean. I discovered that I can be a channel of God’s kindness and mercy as I allow Him to work through me, but ultimately only God can “fix” each one of us as we allow Him to work in and through our lives. I can be a “channel” or “conduit” that brings about healing in other peoples live, but I am not the source of that healing. I can only give what I have been given and God is the only One who can change hearts. 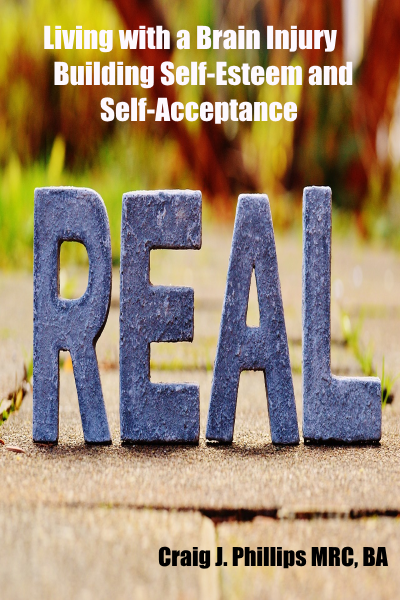 For many years of my life I bought into a denial system that did not allow me to accept my reality – being a traumatic brain injury survivor living with an invisible disability. Not only did I buy into that system, but I sought to justify and defend the denial system. 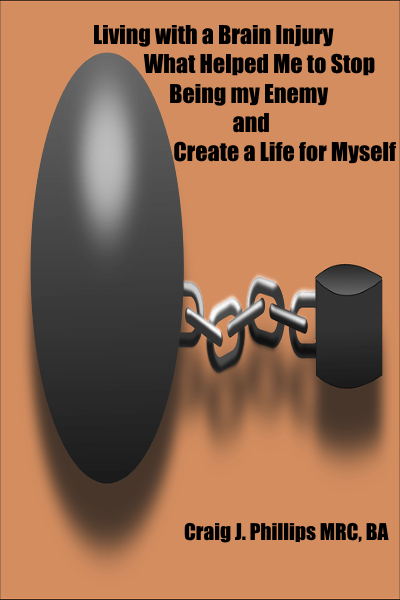 In the process, I had no idea that I was living with limitations and deficits that impeded my ability to be successful in the traditional sense. Because I was unable to maintain employment – because of my unknown deficits and limitations – I experienced a tremendous amount of financial insecurity. Nevertheless, I attempted to gain and maintain employment in a variety of settings and positions. 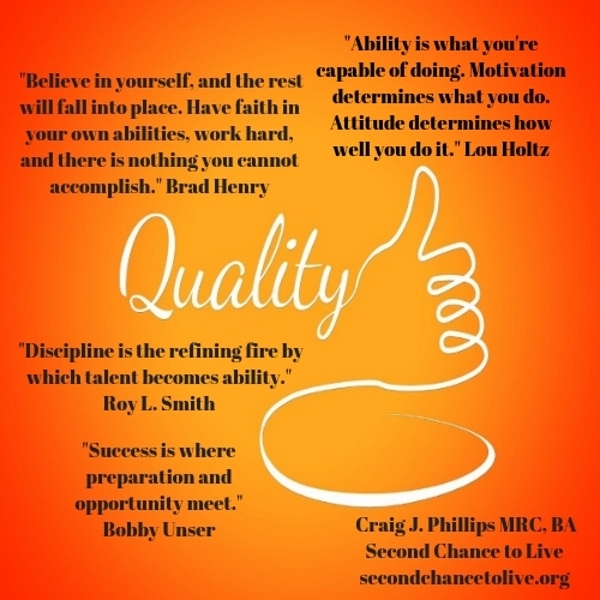 Although I was unable to maintain these positions and stay gainfully employed, these varied positions gave me insight into a holistic awareness of human need. In practical application, I have worked as a mental health aide/counselor within a 28 day residential chemical dependency treatment center for dually diagnosed individuals. I have worked with in a day treatment and partial hospitalization program to assist adults living with various kinds of diagnosed mental health issues. I have assisted families and individuals while working within the field of nursing – certified nursing assistant and didactic / clinical training on the licensed practical nurse level. I have assisted individuals and families in pre-need planning while working with in both the cemetery and funeral industries. I have worked with in the ministry before and while I attended seminary. 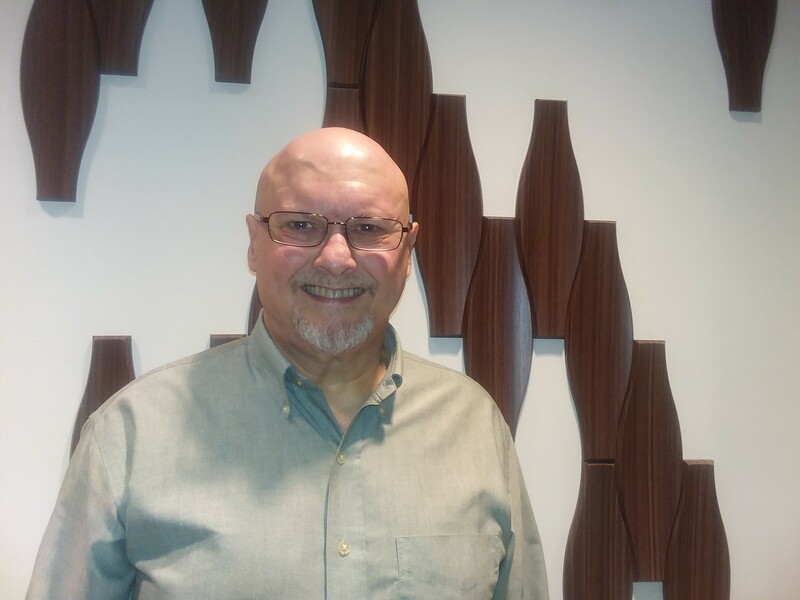 As a masters level rehabilitation counselor and a certified rehabilitation counselor I have assisted individuals living with disabilities in both the private and public sectors – for Insurance Companies and for the Department of Vocational Rehabilitation. In these positions, I sought to match the individuals gifts, talents, abilities and aptitudes in ways that would work for them in employment and vocational placement. 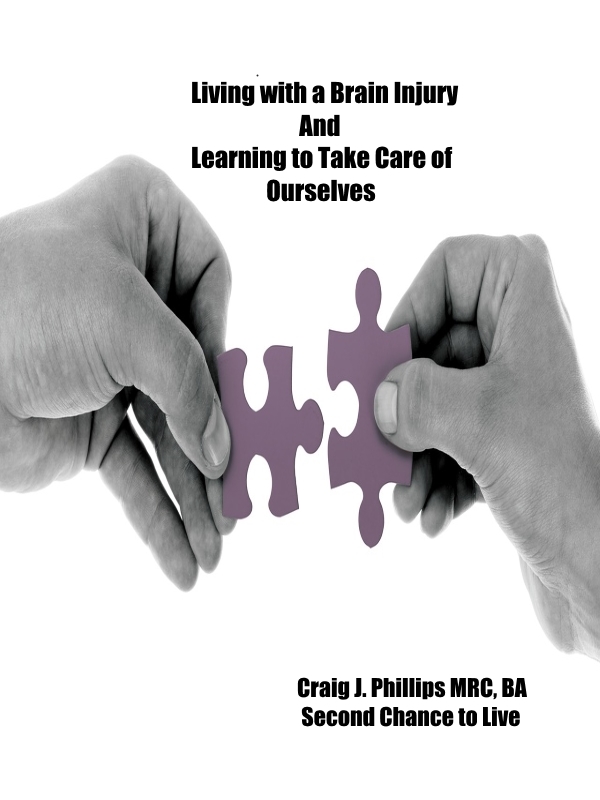 During the past 25 years I have been proactively involved in my own recovery process. Because I had a long history of getting and losing both non-professional and professional jobs I experienced a tremendous amount of financial insecurity. Please read the next part of this series by clicking on the following link Part 4. Thank you. Filed Under: My Journey Living with a Brain Injury Tagged With: Acquired Brain Injury, acquired brain injury and feeling alienated, adult children of alcoholics and traumatic brain injuries, Adult Children of Alcoholics living with traumatic / acquired brain injuries, brain injured soldiers, Brain Injury Concussions and Sports, Brain Injury Education, Caregivers for people with traumatic / acquired brain injuries, celebrities with brain injuries, combating brain injury isolation, determination in the face of setbacks, Families impacted by brain injuries, Finding Freedom From Perfectionism, flash explosion leading to brain Injury, Fulfilling your Destiny, learning disabilities, Learning to Accept Yourself as a brain injury survivor, Learning to Love Yourself as a brain injury survior, life challenging experiences, living life on life's terms, living my destiny, living with a brain injury, Living with a Disability, Living with a Invisible Disability and feeling shame, living with a traumatic / acquired brain injury, Living with a traumatic brain injury and feeling shame, Living with an Invisible Disability, living with meaning and purpose, messages of hope, messages of hope and inspiration, Military Personell impacted by Traumatic Brain Injuries, Military Traumatic Brain Injury Support Meetings, No Longer a Victim, Overcome Being Bullied, Overcoming Societal Stigmatization, Parents of children with Acquired brain injuries, Post Traumatic Stress Disorder, Post Traumatic Syndrome and Suicide, PTSD, Revealing your Destiny, Soldiers and Marines who sustained traumatic brain injuries, spinal cord injury, stroke, Subdural Hematoma, Suicide and Hope, tbi adults, tbi children, tbi families, tbi veterans, The Grieving Process, traumatic / acquired brain injury, Traumatic / Acquired Brain Injury and Anger, Traumatic Brain and Comfort, Traumatic Brain Injury and being Bullied, Traumatic Brain Injury and Comfort, traumatic brain injury and frustration, Traumatic Brain Injury and Hope, Traumatic Brain Injury and What is my Destiny?, traumatic brain injury feeling alienated isolated, traumatic brain Injury in adults, Traumatic Brain Injury in children, traumatic brain injury in schools, Traumatic Brain Injury Research and Resources, Traumatic Brain Injury Self-Esteem and Self-Worth, Traumatic Brain Injury Support Groups / Meetings, traumatic brain injury treatment, What is my Destiny? This blows my mind – many of the dtails are different but your inner story – your conclusions – echo mine. My heart is leaping out to the words of hope I am reading here. I intend to go to the beginning of your posts and work my way through. I am most encouraged by the fact that you point no finger of blame. I gave that up long ago; it gets us nowhere and so often the people we started out blaming were victims just as much as we were. God bless you and the work you are doing! Thank you again for your time and kindess. You are a tremendous blessing to me. I have also lived with much frustration throughout my lifetime David, so I can identify with your struggle. Please read this article to him for me Leone. Your passion has not died David. Our circumstances are not meant to keep us down, but to build us up! You will find your bliss! God bless you both richly. You are a light to your world and generation! Have a simply amazing day. Welcome back. I am glad you decided to stop by and rest. 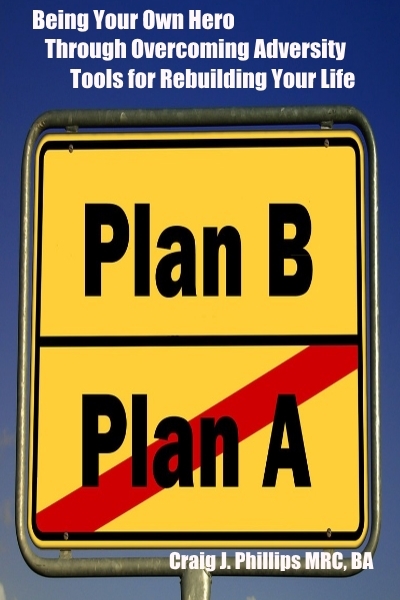 In life, events, circumstances and disappointments may redirect our experience. Like a switch on a railroad, our lives can alter. Our dreams, hopes, and aspirations may have been dashed in the process. We may have lost limbs or suffered permanent brain damage. Our bodies may limit our abilities. Consequently, we may be sad, angry or bitter with life. I want to share something that I have begun to grasp. Who I am on the inside matters more than who I am on the outside. My body may be broken and battered by an injury. I may not be as smart as I used to be before my disability. And I may be discouraged at times, but that does not change my passion. My passion resides within my being. My passion defines who I am in this life. These passions point me in the direction of God’s will for my life. As I follow and develop my passions, the fruit of my purpose becomes apparent. 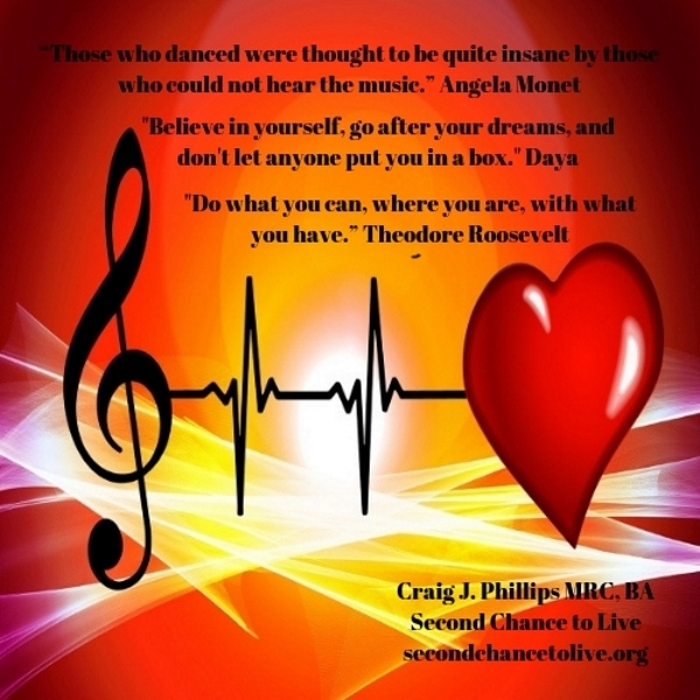 My passions are channeled through my gifts, talents and abilities. My gifts, talents and abilities echo my passion. Although I have a disability that limits the manner in which I can express my passions, I am not limited. Although you may have been born with a disability, or one that you have acquired through trauma, you are not limited. Regardless, of how you came to be disabled or how that event changed your life (as you knew it), you do not have to give up on your passions. Circumstances do not define who you and I are in this life. Circumstances may limit us, but we can learn to channel our passions in ways that work for us today. I whole-heatedly believe that God will use the passions that He gave you. Follow your passions. Follow your bliss. Learn how to channel those passions in your present circumstances. We are all on a journey that evolves with each new experience. Your passions are a gift from God and you are a gift to your world. Do not give up on yourself, on God or on your passions. More will be revealed to you with each new day, and you will find a way. Only believe. And if you are having a hard time believing, believe because I believe. My God, you are a true blessing! My tears are still streaming as I write. Just for a quick introduction..I’m 56 now. I suffered a head on collision while riding in a Corvair in 1969. I was 17 at that time. My head injury was closed. My femurs hit the dash, my head hit the windshield. I was in a coma they say for weeks. When I did wake up I was around the age of 10. I had 2 broken femurs, and wrist, and was not expected to live. I am a miracle, but a confused one now. To date I’ve had 17 surgeries. Most of them were related to the accident. I was successful for many years. 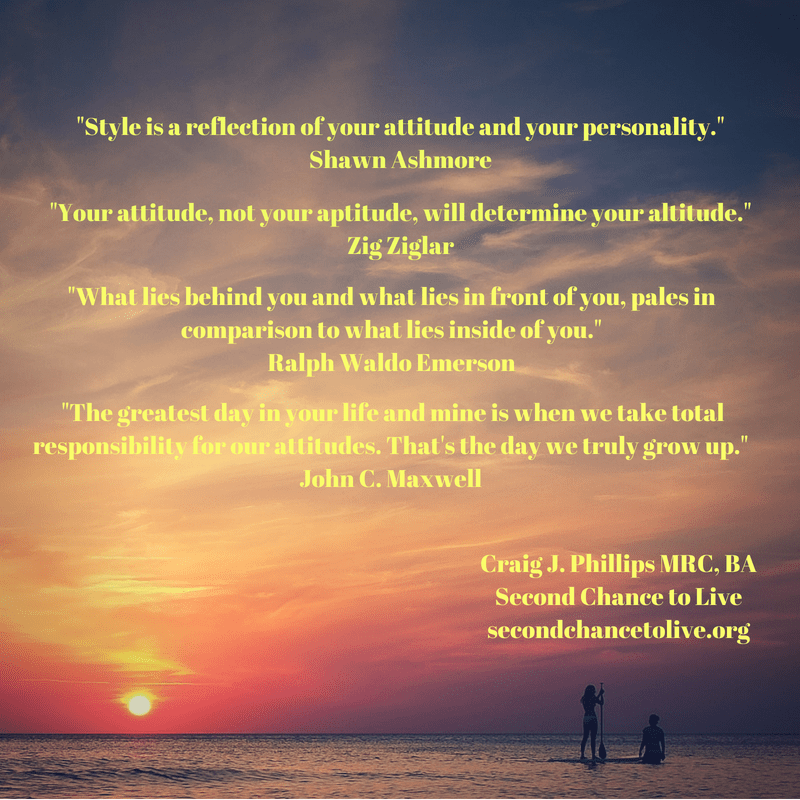 Raised 2 great kids and gradually I became someone I did not know. After 25 years with a successful computer career, I began to become inefficient. You know the rest. I just received disability in June of 2007, after failing at the most menial jobs you could imagine. I was diagnosed with diabetes a year ago also. I just recently got my independence back and financially I am a disaster in this world and may end up with or as a roommate soon. I am in this world, but, not of it! God is so good, but, this depression is sure depressing me! Wow. 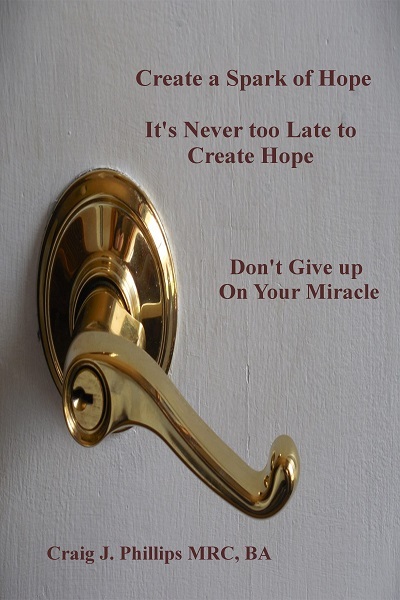 You are a miracle. You are a champion. I am proud of you. Thank you for taking the time to leave a comment. More will be revealed, one day at a time. Thank you again for leaving a comment Susan. My friend, I am so encouraged by what you’ve been able to do! Sorry my message was cut off. I was saying,I had an ugly car accident back in 2003 which left me in a 6week coma, ultimately partially paralyized on the left sie, with significant damage to my frontal lobe as well as many of the other lobes of my brain. I stumbled apon your site while searching for resources for my condition. It is about 1:00 a.m. and I couldn’t sleep because I feel isolated now that I’ve moved up here from Orange county to the Fresno arrea, I moved 1 1/2 years ago with my wife ( a registered nurse, and my daughter, now 7 years old). Praise God, we were able to sell our place in Costa Mesa and ssecure a really nice piece of acreage up here in the foot hills of Yosemite,it is so very beautiful!the only Challenge is I’ve lost all of my “leads”,ie; head injury specialists,physiatrists, etc. I need some help, is there any association that I could tap into? Help me pleasse!!!!!!! Thank you so very much for taking the time to leave a comment. You are a blessing to me. Thank you or your encouraging words. I am happy to hear that your transition went well from Orange County to Fresno. Because I live in North Carolina I do not know any of the resources in California. I am sorry that I can not help you on that front my friend. 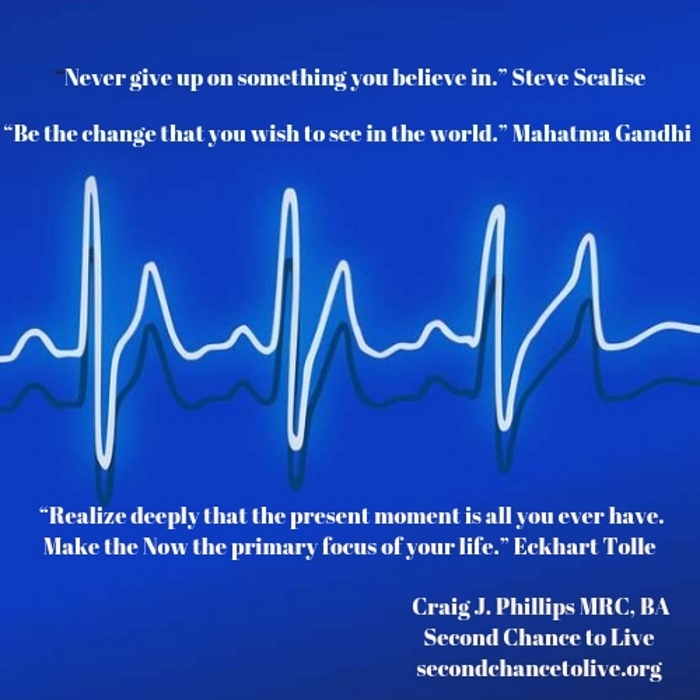 I would encourage you to read through my site map http://secondchancetolive.org/site-map/ on Second Chance to Live as I share my experience, strength and hope through the 230 posts that I have written. 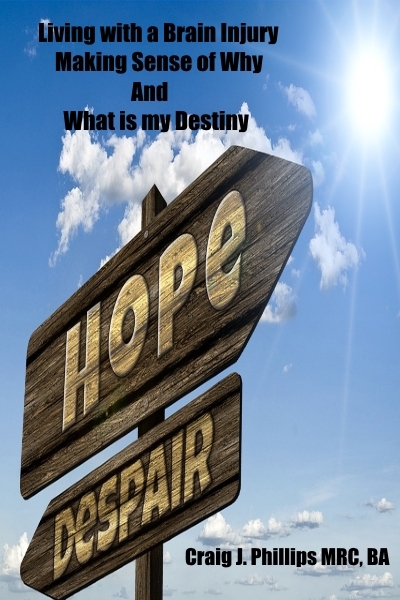 Each of the titles are a link to the posts where I share my experience, strength and hope. Not all of the posts have traumatic brain jury or living with a disability in their titles, however the information that I share within those posts may be helpful to both you you and your family. Please stay in contact with me and let me know how you are doing. Thank you my friend and have a wonderfilled day. God bless both you and your family! I completed radiation therapy in early September of 1999, and the doctors prescribed a rest period of eight weeks, prior to beginning chemotherapy. The break between treatments was a good opportunity to travel with my mother to check on her home in Arizona, and get needed repairs done as well as visit my sister and family. It was nice to pause, and gather my strength for the upcoming battle in a warm place. Mom was my saving grace; she put her life on hold to come to my home and care for me during both surgeries and treatments. I was to receive an experimental procedure that was still in clinical trials. I heard the side effects as they were read to me, and said yes to what I knew to be my best chance at life. I guess I did not fully consider the complete meaning of septis, and anemia. I have a greater understanding and respect for them now. I remember the state of near shock when the pharmacist gave me the bill for the first wave of pills. Fifteen ANZEMET pills cost $1200.00, and that was not the entire treatment. I affectionately referred to my chemo pills as rat poison. The treatment sequence also included 3 IV injections per cycle. Probably the most traumatic moment in the initial process was watching the oncology nurse prepare the injection of Vincristine. Her name was Tanya. She had shoulder length blonde hair and smiled at me through her face shield. Tanya had lovely blue eyes that matched her HAZ MAT gown and chemical resistant gloves, and there was a hint of sadness as she mixed the chemicals in the ventilated stainless steel cabinet. 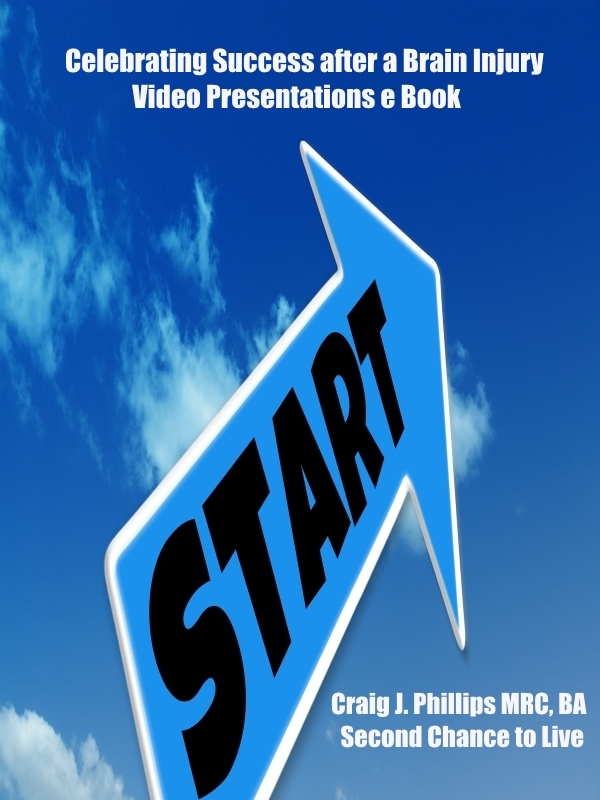 I asked, “ Am I your first?” It seemed like a good conversation starter, a feeble attempt at humor to defuse the tension we were both dealing with as it was her first day on the job. There is a bond that develops between patient and caregiver in almost every case of ongoing care, but none as intense as between a chemo patient and nurse. I searched her eyes in pretreatment for clues as to my progress, and sometimes our eyes would lock as she searched my eyes for the same clues. Sometimes I would see her eyes moisten around the edges as if a tear was forming. Talking seemed to relax us to the point that finding the right vein was easier. The initial anxiety that went along with having a corrosive solvent injected into a tube that ran into my arm was intense, but short lived. The wave of nausea and fever seemed to flow over me like a shadow of sickness, and a metallic taste was present almost instantly. My treatment only took about a half an hour, but the nausea lasted for the rest of the day. After each treatment my mother would busy herself with cleaning and scrap-booking projects while I rested on the ragged green futon in my living room. For the first two days of the first cycle I resisted the sick feeling. As my mind set changed, I found that my body could lay on the futon burning with fever, cramping with nausea, but my mind and spirit did not have to stay there. I could go back in time to pivotal events in my family life and examine my role in the development of the circumstances that had brought me to this point. I listened to audio cassettes of motivational seminars on my walkman. 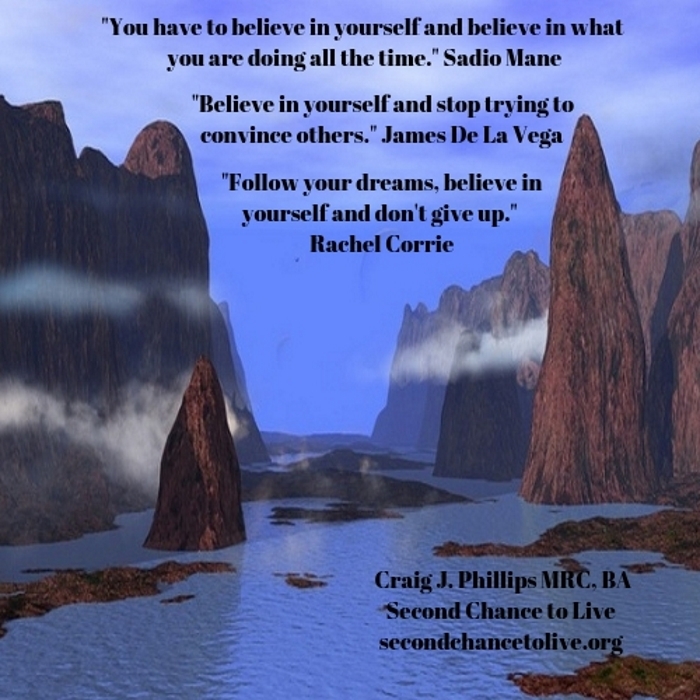 As my physical body weakened, my spiritual self grew in confidence and understanding. The chemo induced hallucinations acted as a form of meditation that detached me from the misery that racked my body. I began to write a journal of my experiences, and some poetry emerged from those writings. The answer is: I am not done yet! I can help others with similar problems. Access Alaska Hired me out of the Head Injury Support Group in July of 2002 to be a life skills coach for head injury survivors- Alaska’s guard units have been getting their share of TBI & PTSD as well so I am going to school to get a degree that will fill in the blanks in my resume as I partner with the clinical experts that provide vital services to our returning vets and others. Wow. I am proud of you. Thank you for sharing your story. You are an awesome inspiration. God bless you my friend. You have been through the valley of the shadow of death and come up the other side of the mountain. You are an inspiration and your message is one of practical hope. 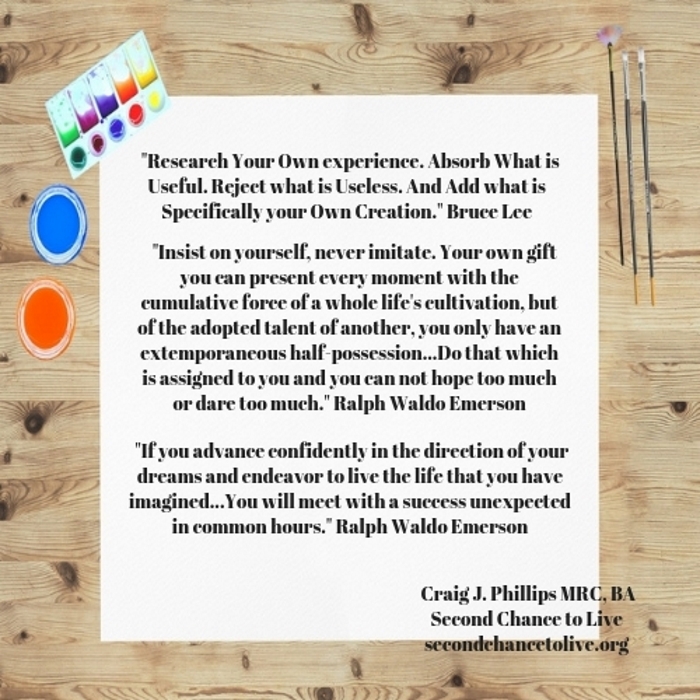 You can share from an experiential perspective that no book could provide anyone. You have a Ph.D in overcoming in my book. You have credibility that no degree could possibly provide Frank. You have been enabled to be both a guide and a strong tower for anyone encountering the rigors of the journey through the chemo therapy process. You have undoubtedly learned phenomenal things about yourself that you could not have learned except through the experience. We have become wounded healers through our experiences — resoundingly — because we have learned through the experience rather than becoming bitter by the experience. You have become a pillar of strength — by the grace of God and tenacity — and a strong refuge to any weary traveler. You are an amazing individual Frank!!! I am honored to know you Sir. You are also a very good story teller. The ability to tell a story enables you to communicate on a level that people can identify with in life. I am sure you are and will continue to be a beacon of hope to the “clients’s” that you serve with accessalaska. AccessAlaska is very fortunate to have you on staff. That is not an under statement! 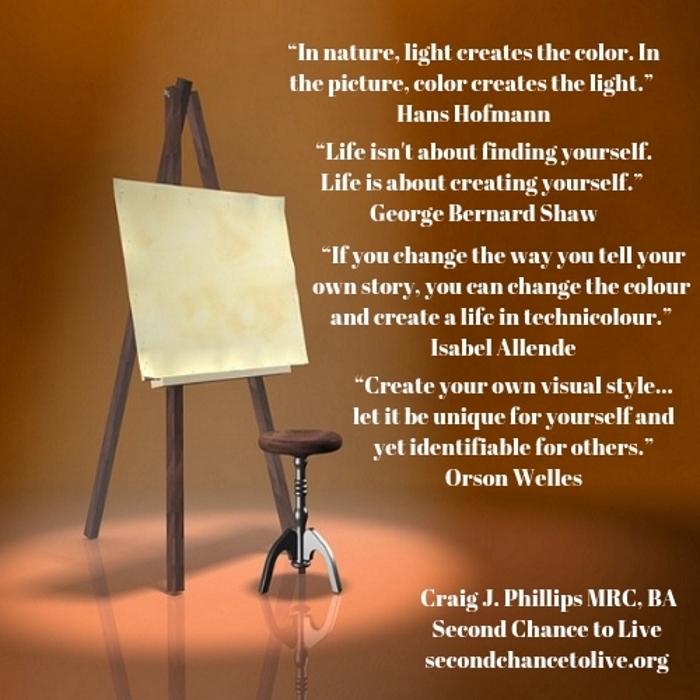 Thank you for the time and kindness that you have shown by visiting and spending time on Second Chance to Live. I am honored by your presence. Please extend my welcome to the clients that you serve. They are invited to visit and spend time on Second Chance to Live too. 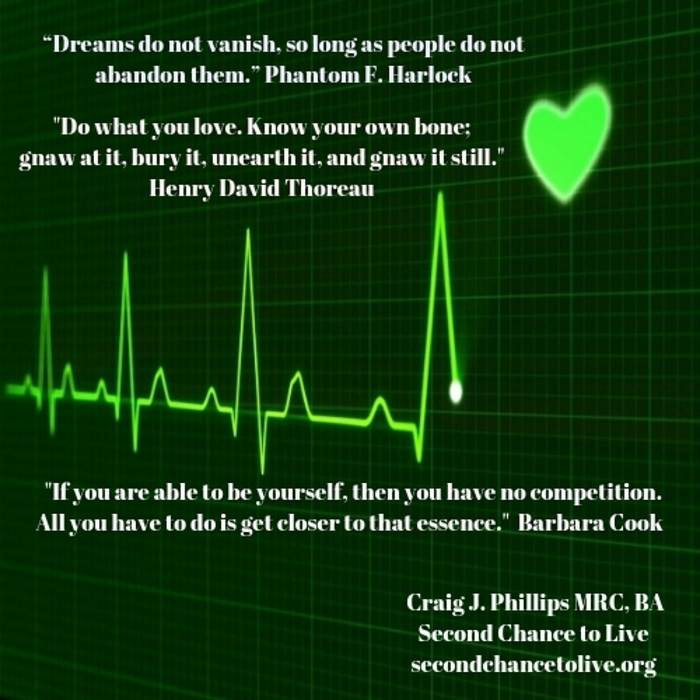 I have a site map http://secondchancetolive.org/site-map/ currently with 233 titles. 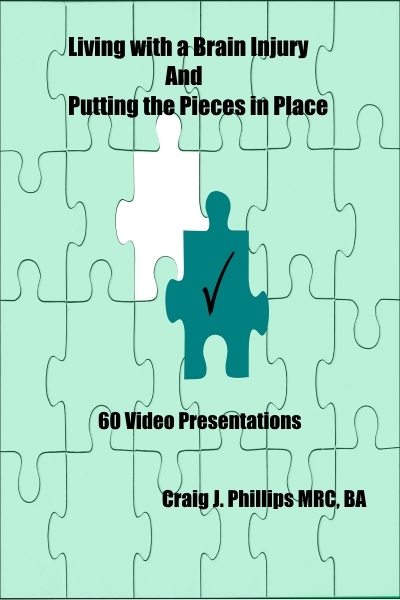 Not all titles have traumatic brain injury or living with a disability in their titles, but all of the titles represented by a link present principles to help the reader to live life on life’s terms. Our circumstances are not meant to keep us down, but to build us up! n the event that Alaska is looking for a motivational speaker I would be available. I do not presently charge a fee or accept an honorarium. I would only need my expenses paid by the hosting organization / conference / convention Frank. I will say so long for now my friend. Godspeed to you and your family. Thank you again for your time and kindness Sir. Have a simply amazing day! 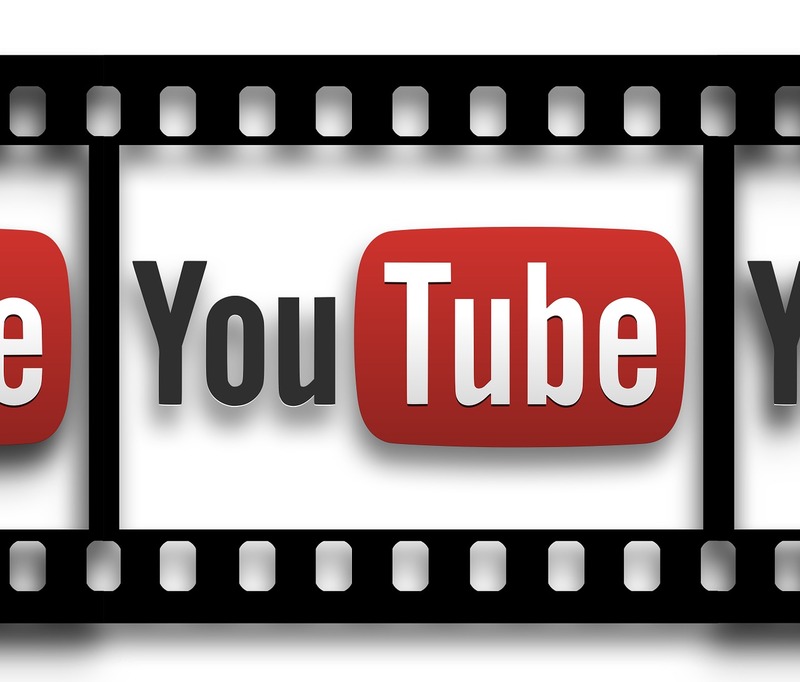 I’m so glad that Laura Benjamin linked your site to hers! I’m a 10 year brain injury survivor who is finally thriving! The cause of our injuries are the same, the severity is different, but the outcome is oh so similar. I know too well the double bind of having an invisible condition. You are truly a blessing and I look forward to reading your work. Rev. Joyce Irvin Harris, M.Div. Thank you for taking the time to leave a comment. Thank you also for your kind words of encouragement Joyce. You are a blessing to me. Not that you are asking, however in the event that you have any questions, per my experience strength and hope please let me know my friend. 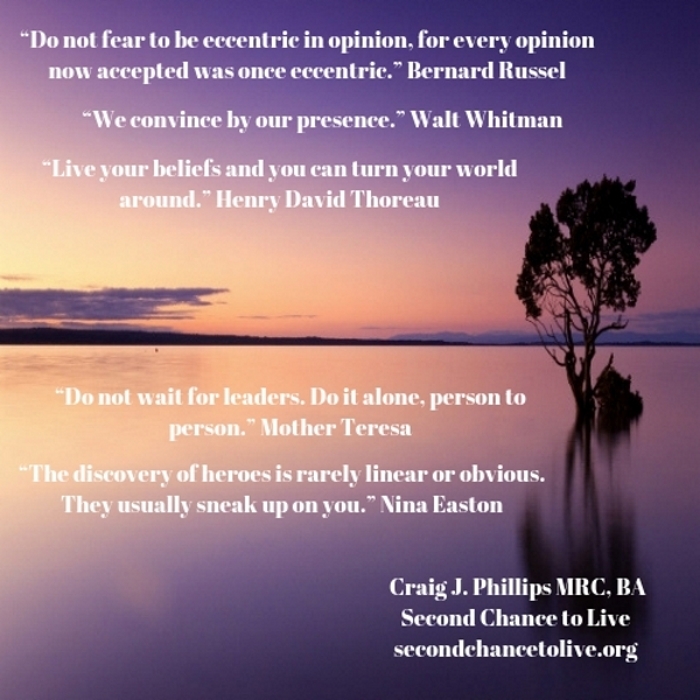 I will do my best to answer them or direct you to specific posts that I have written and published on Second Chance to Live. I have found that healing comes through the power of identification. 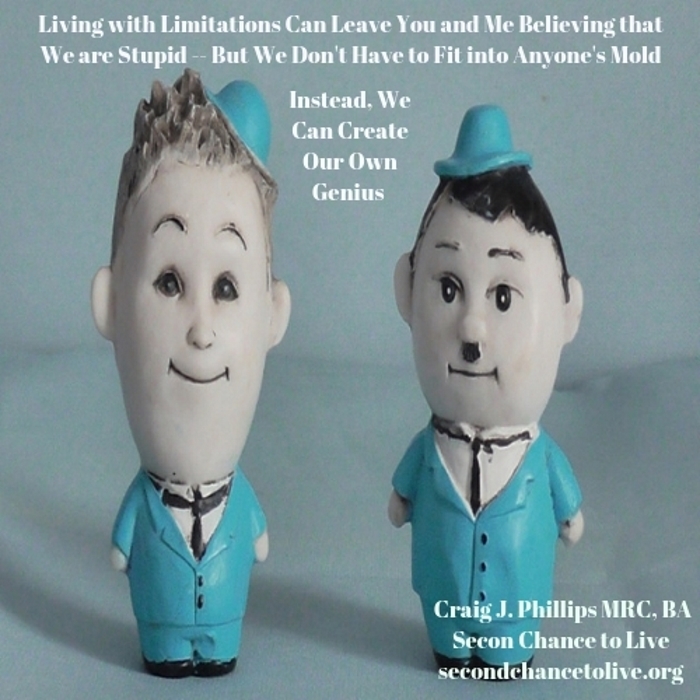 I have written a post on The Power of Identification : http://secondchancetolive.org/2007/04/18/the-power-of-identification/ Thank God that we do not have to be alone on our journey’s. I will say so long for now. Have a pleasant evening and God bless you! I was quite sure you went through a twelve step program based on the words you chose as I am now. I have been in N.A. for sixteen years and have recently finally surrendered completely do to the pain. I too experienced early damage to my social and esteem inadequacies as my mother’s man picker was not always her best at heart moves. I was expected at four years old to be the man of the family which included myself and my brother and of course my mother. At seven years old she married again to man that would not beat on her or my brother and I but neither were capable parental role models as they were young had their problems always seemed more important. Step dad was a traveling salesman and womenizer so that relationship lasted only seven years. Again I was to be the man of the family but this time there was my sister who came soon after the second marriage. There was no way and I started drinking, ditching school and using drugs on a daily basis. I never graduated high school and ended up in the Marine Corp to avoid going to jail. I got married while I was absent without leave for thirty days and just before leaving I was busted for bringing drugs on base. I was honorably discharged after serving five years and had to make up the time I spent U.A. (absent without leave)and in the brig. I was in 1978 divorced by the time I recieved a copy of my DD 214. 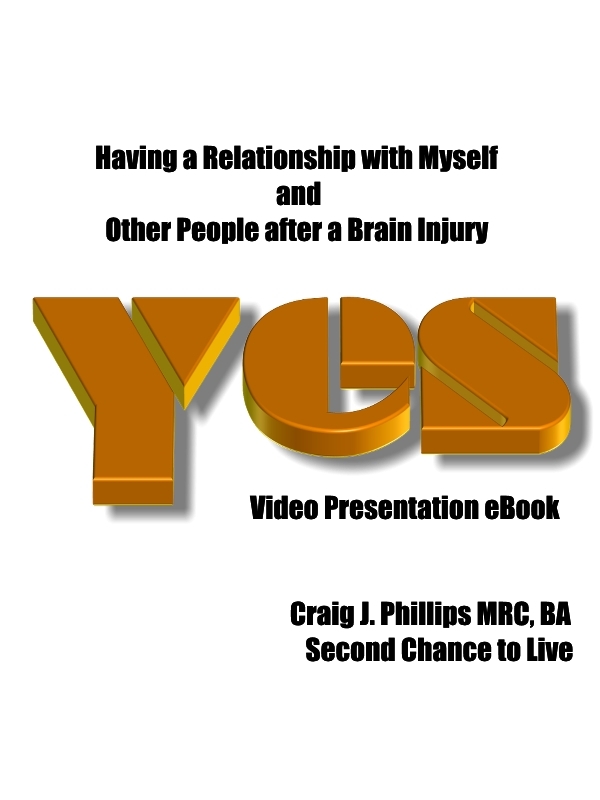 I celebrated sixteen years clean last August and as a result of the struggle of brain injury which as I said in my last letter to you I was no longer compeitively employable, I would not accept the limitations which someone else placed on me. I chose to seek other means of financial income but as a result of sustained and further damage to my brain from the medication of HEP C (interferon-riboviron) memory, organizational skills, multi-task, attention to one item at a time only, and new learning skills prevented me from successfully achieving my desires and over compenstating for the imposed limitations created failure and disappointment from my wife almost leading to divorce. 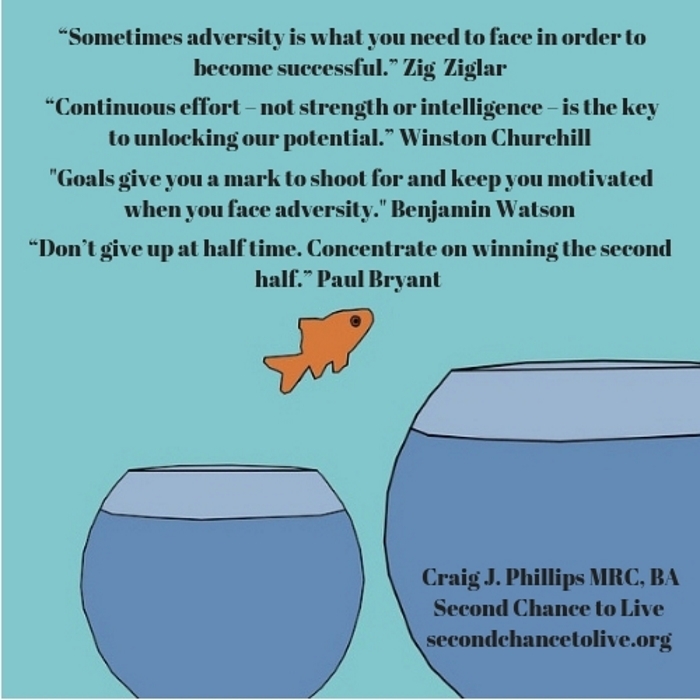 I now attend two seperate TBI support groups and am going through the twelve steps for the second time only this time with a sponsor and real desire to be fully open minded, honest, willng, and fearless. I appreciate the fact you decided to post your experience, strength, and hope online as well as others I know. I will inform the members of the two TBI groups I support as well as the Arizona Brain Injury Association here in Phoenix. I know this story may jump around a bit but I do know you get the gist of it. Thank you for sharing more of your story with me. I believe people can not give what they do not have when they do not have the right information. We learn as we go and with every thing there is a learning curve Mark. Congratulations on your 16 anniversary. That is fantastic. I am proud of you. Please do continue to read through the links that I sent to you in my previous email, as I believe my experience, strength and hope could be of benefit to you my friend. I am learning as I go too. 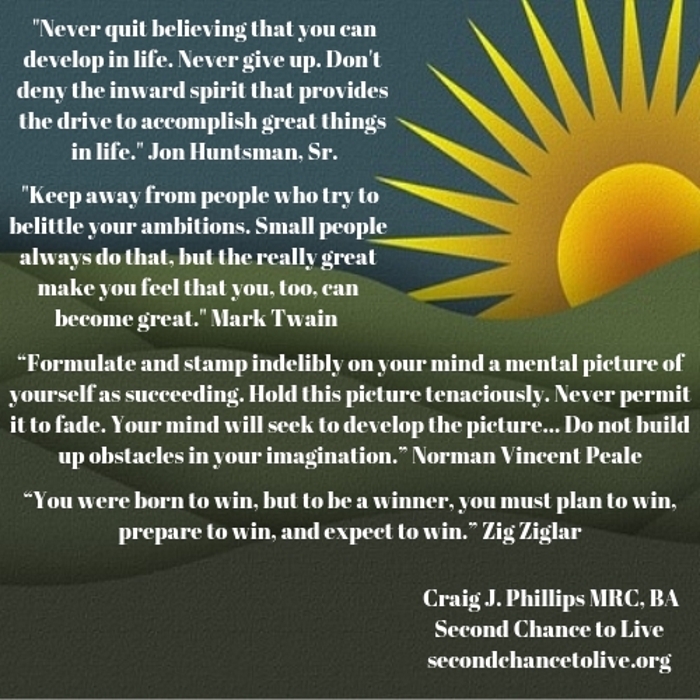 Thank you for your willingness to tell other people about Second Chance to Live. Please let me know if you have further questions. I am also available to speak at conferences and at other venues. 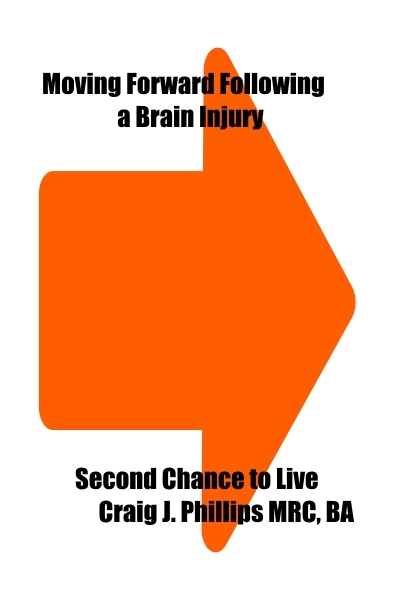 Please let the Brain Injury Association of Arizona know about Second Chance to Live and what I bring to the table Mark. Thank you my friend. Have a simply phenomenal day and Merry Christmas to you and your family. God bless you all. My sister was involved in car accident last year in May. She was in a coma for 8 weeks and upon coming to had to learn to walk, talk, go to the bathroom etc all over again and now suffers short term memory loss. She has come a long way but by the grace of God continues to get better. We have hope she will totally recover. I am now her guardian since we recently lost our mother and have been surfing the internet, hoping for a story of hope and yours has given me just that. I was tired of articles full of jargon, doom and gloom. God saved her for a reason. Thank you Craig. Thank you so very much for taking the time to write. I am honored by your kindness my friend. Thank you for telling me a little about your sister. She is doing marvelously. Please say hello to her for me and let her know that I am proud of her my friend. Thank you Sandra. I have found that by making the process the goal rather than the destination the goal then I am able to learn as I go and I am able to celebrate the progress that I make in the “seeming” baby steps that I make Sandra. By doing so I am able to relax and trust the process. 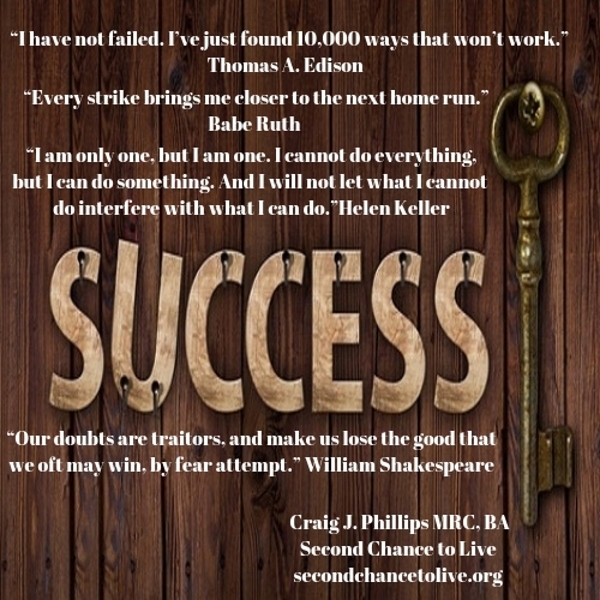 In addition to the below articles, I have a Site Map http://secondchancetolive.org/site-map/ Currently I have 440 articles that I have written and published for Second Chance to Live. Although not all of the titles have traumatic brain injury or living with a disability in their titles each of the articles contain information that have helped me through my process and on my journey. 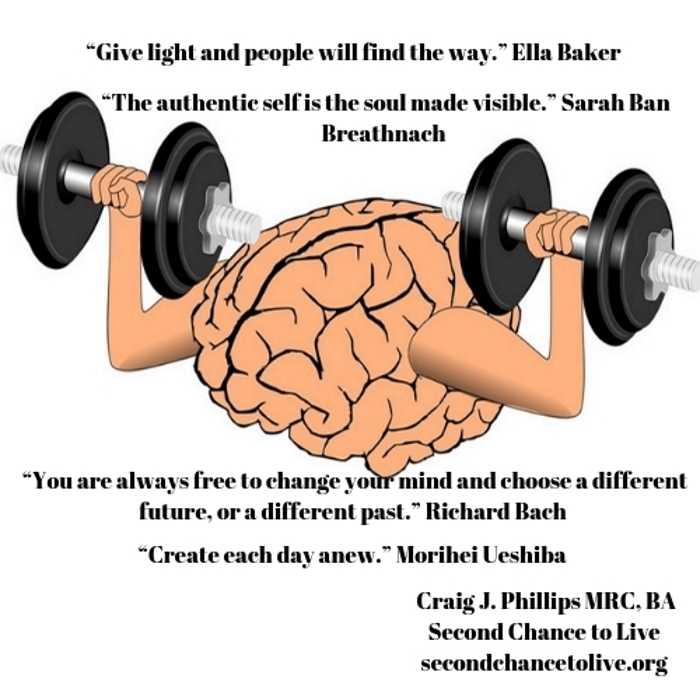 I believe the principles and strategies that I share in the information that I present on Second Chance to Live can help encourage, motivate and empower anyone’s life Sandra. Could I ask you a favor? 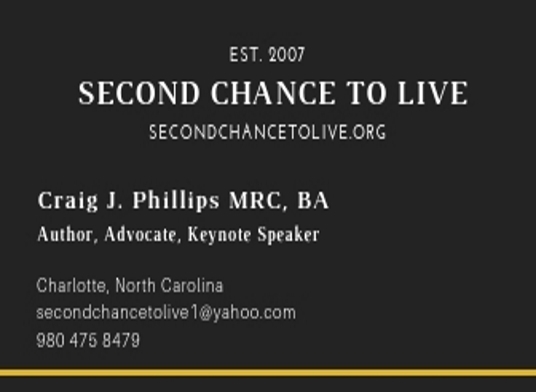 Please read my For Professionals page http://secondchancetolive.org/for-professionals/ and tell the professional staff that you interact with and know about my message of hope. Thank you. My interest is to be a channel of hope. Our gifts are not of us, but through us. In the event that you have any questions, please feel free to ask. Also, please let me know how I may be of service to you, your sister and your family and friends. Thank you Sandra. Until then I will say so long for now. Found your site while searching for “brain injury support group” sites to help in forming a local group. Read both 1st and 2nd parts before going for the “glory” page. Am pleased to have done so, and blessed to read your story. I wanted to share this personal discovery (I used to call it a revelation, but I am not a prophet): “All human suffering is a blessing from God, IF it draws you nearer to Jesus Christ” Now that is surely a long story to tell, but let me just state the obvious: My suffering due to brain injury has been such a blessing. Look forward to exploring your web site. Thank you so very much for taking the time to read and leave a comment. I agree with you. Please read Psalm 139:13-18; Jeremiah 29:11 and Romans 8:28. God has a plan for our lives. He was not on a coffee break or talking with the angels around the water cooler when we experienced our brain injuries. Our brain injuries are being used by a loving God to fulfill the plan and purpose that He has always had for our lives. He is using all things together for our good. We are being directed to our destinies. I believe any adversity that occurs in our lives is merely a switch on the railroad of life that points us in a direction that we would not have normally gone. As we move down that track of railroad we are given an opportunity to learn how to use our gifts, talents and abilities in ways that work for us. Through my process, I have learned various lessons that have encouraged, empowered and given me hope. 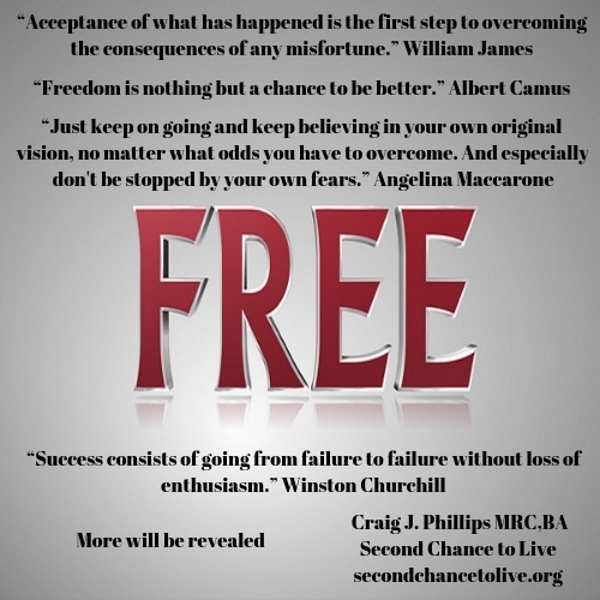 Through out Second Chance to Live I develop and share what I have learned with my readers. 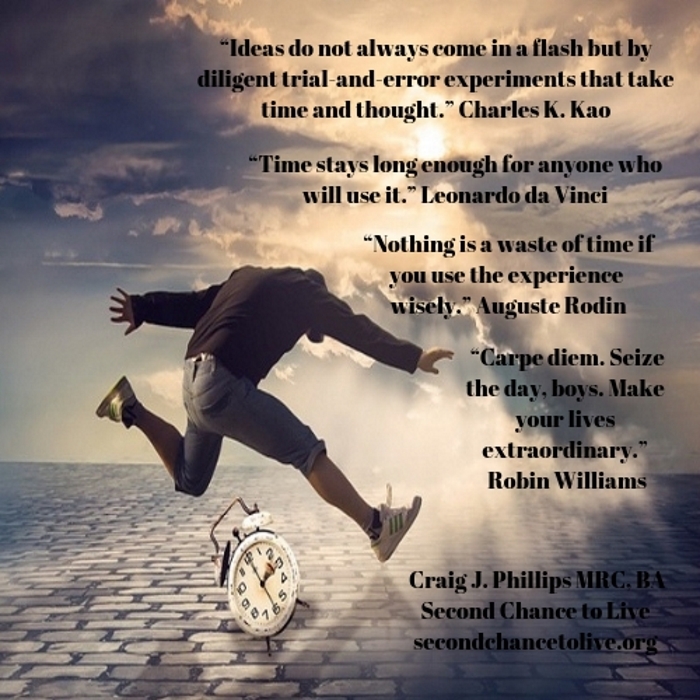 Consequently, I would encourage you to read through my Site Map http://secondchancetolive.org/site-map/and read some of my articles John. I believe you will be able to identify with me. A few of the articles that I have written that you may find to be helpful are given below. Merely click on the link and your will be taken to the article John. Let me know if you find the articles to be beneficial. Thank you. Thank you again for taking the time to write to me and to leave a comment. I am honored by your kindness. Have a pleasant day my friend and God bless both you and your family John.